No Renaissance Faire is complete without a village of performances around every bend. The London Bridge Renaissance Faire will host an array of Renaissance Guilds, who interact with faire-goers & populate the shire with their encampments & demonstrations & bring the ren atmosphere to life. You'll find stage & musical performances (there's Ren bands, magic, & jugglers); street performers (think jousters, magicians, wandering minstrels, & pirates); Pirate's Cove, where the young & the young at heart can escape into a world of buccaneers, smugglers, and booty; & artisan demonstrations. And if you’re the entertaining kind, YOU can be part of the fun! 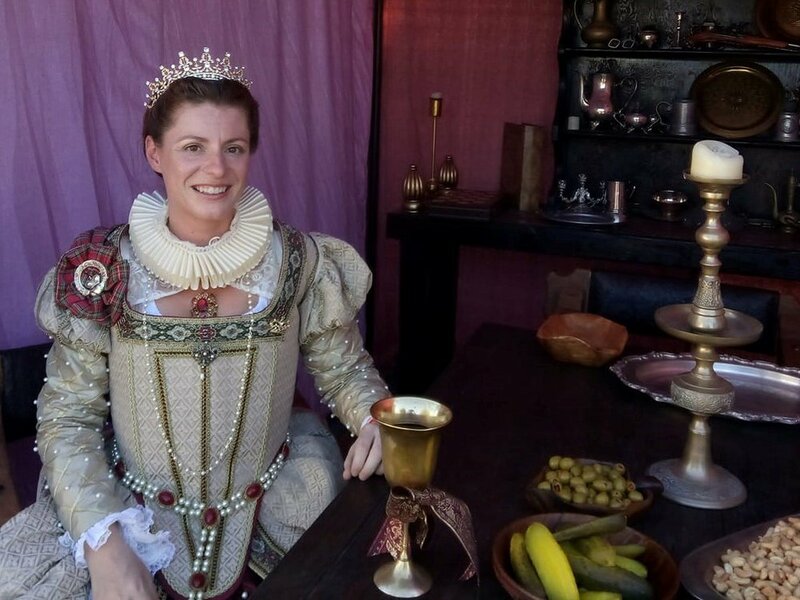 Dress up Renaissance-style, & the whole affair will be truly historic! Now in its fourth year, the London Bridge Renaissance Faire is going strong! If you’ve never experienced a Renaissance Faire, it is a festival with stage & street performers in period costumes, bringing medieval history to life in a fun & dramatic way! Click on the link below to find out more. Calling all Lords and Ladies of the Realm! Her Majesty has extended an invitation for you to join in on all of the fun and merriment that comes with being a guest in Her Royal Court. Enjoy a mouth watering, delicious four-course meal and be entertained by her Majesty's favorite performers. This special engagement will only be on Friday evening and is limited to a small number of guests. Be sure to reserve your seat today! “Wonderful little Faire! 2018 was amazing! The entertainment was awesome - great bands and performances. The marketplace had some great things that many places don’t. This is absolutely a must see event for the whole family. 10/10 will return. Huzzah to Anderson Toyota for making our event possible! Special offer to our Ren Faire guests! Call (928)855-3550 and use code: REN1 when booking. Very limited so be sure to book today.